Chinese Sha jen, Wok lok uvat? Seeds. Because other­wise they lose frag­rance rather quickly, normally the whole fruits (pods) are sold. Sweet and aromatic, very pleasant. 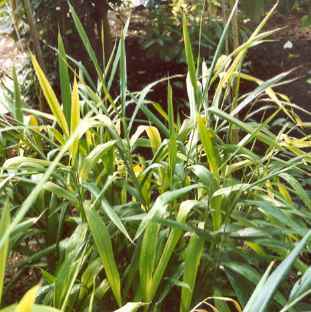 Other sources report 1,8-cineol (20 to 50%), α-terpinylacetate (30%), sabinene, limonene (2 to 14%), linalool (and its acetate), α-terpineol, terpin-4-ol and borneol. There is a marked influence of extraction method on the composition of the oil: Oil obtained by hydrodestillation is generally richer in α-terpinylacetate and poorer in 1,8-cineol. Also, storage conditions have a strong effect: α-pinene, sabinene and limone are lost in the couse of several weeks to a few months or storage at room temperature. α-terpinylacetate content may even rise during storage, but it may also degrade to p-cymene. Cardamom seeds contain about 2% of fixed oil dominated by C16 fatty acids (oleic and palmitic acid). 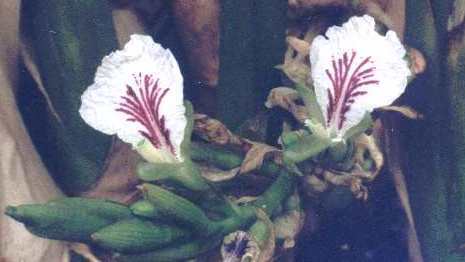 In the seeds of round cardamom from Jawa (A. kepulaga), the content of essential oil is lower (2 to 4%), and the oil contains mainly 1,8 cineol (up to 70%) plus β-pinene (16%); further­more, α-pinene, α-terpineol and humulene were found. Southern India and Sri Lanka. Indian cardamom is slightly smaller, but more aromatic. 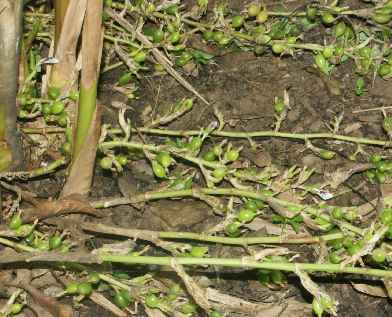 Although India is the largest producer of cardamom, only a small share of the Indian production is exported because of the large domestic demand. 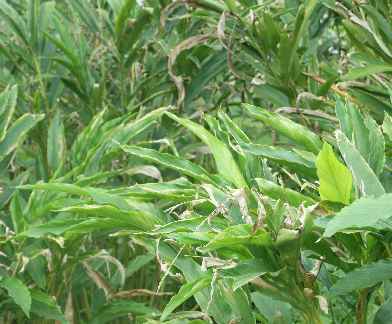 The main exporting country is Guatemala, where cardamom cultivation has been introduced to less than a century ago and where all cardamom is grown for export. 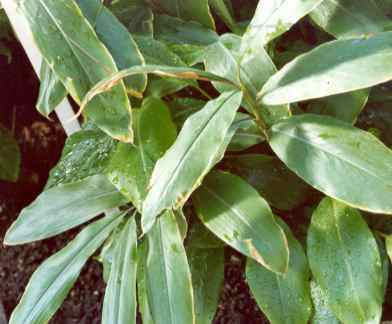 There several related plants in genera Amomum, Aframomum and Alpinia, many of which have aromatic seeds; these may appear as cardamom substitute or adulteration, although the flavours of most of them differ markedly from true cardamom. Some of these have a eucalypt-like flavour worth dealing with in their own right (see black cardamom) while others are more pungent and almost peppery (see grains of paradise); yet many of them are quite disagreeable. 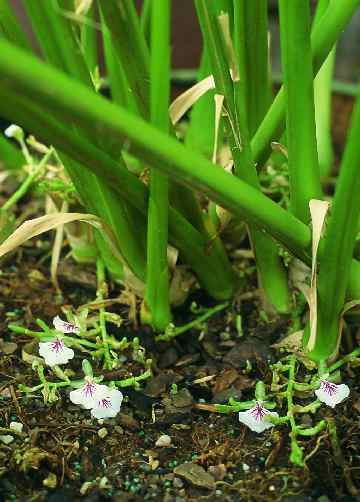 These wild cardamoms can hardly be used as a substitute for the real thing. Two South East Asian species, however, should be men­tioned because their flavour comes very close to true car­damom: Siam car­damom, Amomum krervanh Pierre ex Gagnep. 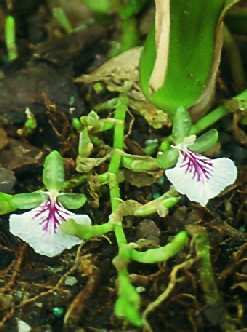 = A. testaceum Ridley (sometimes misspelt Amomum krevanh) is native to peninsular South East Asia. Its small, almost spherical pods are used in the cuisines of Thailand and Cambodia and imitate cardamom’s aroma pretty well. 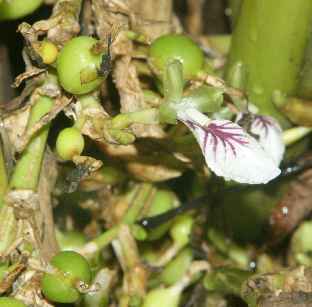 Another species, round cardamom (Jawa cardamom, Amomum compactum Soland. ex Maton = A. kepulaga Sprague & Burkill), from Indonesia also has a good, cardamomy flavour. If cardamom is ever asked for in recipes from the indicated areas, the local varieties are meant; substitution by true cardamom is perfectly possible. The spice has identical or at least phoneti­cally similar names in almost all lan­guages of Eu­rope, e. g., Car­damom (German, English), kard­emomme (Nor­wegian, Danish), cardamomo (Italian, Portu­guese, Spanish), kardamon (Polish, Croatian, Bulgarian, Russian [кардамон]) and kard­emumma (Finnish). Yet there is no satis­fying explanation of that name. Cardamom was known in Ancient Greece as an expensive item of commerce and known as kardamomon [καρδάμωμον] (kardomeia [𐀏𐀅𐀖𐀊] on the Linear B tablets). The name has not satisfying explanation, yet there is a similarity to the second element in the Greek name of cinnamon (kinnamomon [κιννάμωμον]); and there is also the name amomon [ἄμωμον] for an aromatic spice similar to cardamom. To make things worse, an apparently unrelated name kardamon [κάρδαμον] denotes a pungent herb from Persia (probably a type of cress). Modern Greek has inherited that confusion: Both cardamom and cress may be called kardamo [κάρδαμο]. Also Roman sources tell of two similar spices: amomum and car­damomum, both of which were of Eastern origin. Some suspect the two to be identical (or different grades of the same product), but it appears more probable that they were distinct varieties of cardamom. 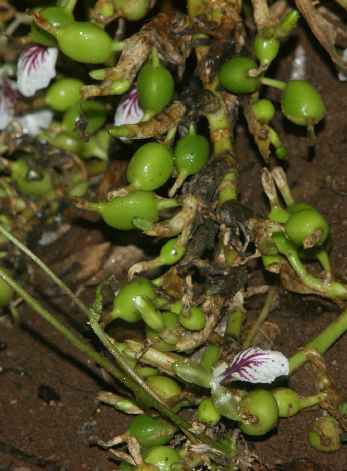 The more expensive kind, cardamomum, is generally assumed to have been identical to what we call cardamom today; amomum, on the other side, may have been a type similar to black cardamom. Again, no etymology is known for these two names. In the New Testa­ment (which was largely written in Greek), the name amomon [ἄμωμον] appears in reference to an aromatic plant. This could be derived (and some books state so) from the adjective amomos [ἄμωμος] blameless, without reproach ; given, however, that amomos is a regional and poetic form, this seems less probable than (what other books state) the derivation from Aramaic hemama (which I wasn't able to verify). The modern genus name Elettaria is derived from the local name in a South Asian tongue; cf. 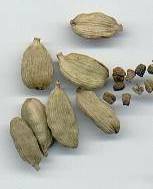 Hindi ilaychi [इलायची] and Punjabi ilaichi [ਇਲੈਚੀ] green cardamom ; see below for similar names meaning black cardamom. The common source is Sanskrit, where cardamom is called ela [एला] or ellka [एल्ल्का], which is itself a loan from a Dravidian language. 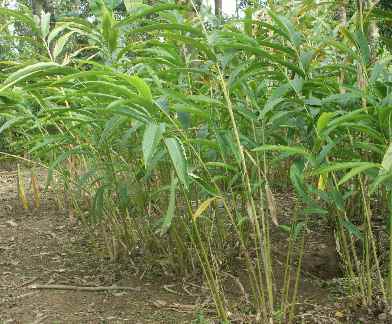 From the corresponding Dravidian root, ĒL, all modern names of cardamom in the major Dravidian languages are directly derived, e. g., Kannada elakki [ಏಲಕ್ಕಿ], Telugu yelakulu [యేలకులు], Tamil elakkai [ஏலக்காய்] and Malayalam elakkay [ഏലക്കായ്]. The second element kai means fruit , see mango. Cookbooks often render the Hindi name as elaichi; yet the native writing एलैची seems to be uncommon at its best in real Hindi documents. There are, however, a few forms with initial E in related North Indian languages, e. g., Gujarati elchi [એલચી]. Some sino–tibetan languages of the Northeast have borrowed the term in the exact form elaichi, e. g. Garo and Manipuri [এলাইচী, ꯑꯦꯂꯥꯏꯆꯤ]. Cardamom is often named as the third most expensive spice in the world (after saffron and vanilla), and the high price reflects the high reputation of this most pleasantly scented spice. Despite its numerous applications in the cooking styles of Sri Lanka, India and Iran, 60% of the world production is exported to Arab (South West Asia, North Africa) countries, where the larger part is used to prepare coffee. Cardamom‑fla­voured coffee, almost a symbol of Arab hospitality (qahwa al-arabiya [قهوة العربية]), is usually prepared by grinding coffee beans and (posssibly toasted) cardamom pods together and boiling the mixture with sugar in a wood-handled coffee pot (ibrik, ibriq [إبريق]) alternatively, a few cardamom pods may be steeped in the hot coffee. In any case, the finished coffee is served in tiny cups (finjan [فنجان]) and slowly sipped. Bedouins (Arabic nomads) sometimes own coffee pots that can keep several cardamom capsules in their spouts; the coffee gets in contact with the spice only during being poured into the glass. In Ethiopia, preparing coffee plays an important rôle and involves highly developed rituals ( coffee ceremony ). Coffee beans are always toasted immediately before usage, often together with spices (cloves, cardamom). After letting them cool, they are ground, and the coffee is prepared. On serving, other flavourings might be added, e. g., fresh leaves of rue. 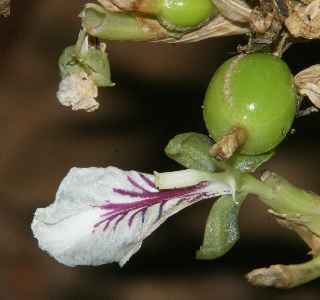 Yet not all cardamom is consumed for coffee in Arab countries; it is also used for cookery. The spicy mixture baharat (see paprika) from the Arabic peninsular contains cardamom as well as the fiery paste zhoug (see coriander) from Yemen. Cardamom is often employed for Oriental rice-and-meat dishes, e. g., Turkish pilav and Arabic kabsah [كبسة] or majboos [مجبوس] (see also rose). To prepare these, meats (more rarely vegetables) are braised in a thick, aromatic sauce; then, uncooked rice is added and cooked slowly so that it absorbs the sauce and all its flavour. In Central Asia, Uzebkistan ist most famous for its highly complex rice dishes. Uzbeki rice dishes, called plov [плов], are usually cooked in two layers: An aromatic thick sauce, which usually contains meats, fruits (plums, aprocots, barberries) and a large proportion of carrots, is covered with presoaked rice, then the cook adds water and simmers slowly, without any stirring, till the excess liquid has been absorbed by the rice. Uzbekistan also has sweet variants without any meet. The Central Asian recipes use less spices than their Arabic conterparts. Iran is also famous for elaborate rice recipes (polo [پلو]). The rice is cooked alone, with water and salt only, and may be stained with saffron water after cooking. Sometimes, it is mixed with dried fruits like barberries or cornels. In a second step, the boiled rice may be layered with aromatic meat or vegetable stews. The latter are often flavoured with cardamom, cinnamon and other spices. This type of preparation ensures a highly fluffy texture in the rice. Irani-type rice dishes have been introduced to India by the Moghul emperors, who reshaped the cooking in much of Northern and parts of Southern India (see also black cumin). North Indian biryani [बिरयानी, بریانی] (see also saffron), is made by placing layers of cooked rice and yoghurt-based aromatic meat or vegetable stews in a large pot; after addition of dried fruits (e. g., raisins, fresh or dried pomegranate seeds), nuts (e. g., almonds or cashews) or even saffron water, the pot is sealed and heated in the oven so that the different flavours mingle. These recipes require fluffy, non-sticking long-grain rice like Indian basmati [बासमती, باسماتی]. The flavouring for biryani involves a selection of the most aromatic spices: The initial boiling of the rice involves spices like cadamom, cloves, cinnamon and particularly Indian bay-leaves as signature flavours, and these are always used whole. Also mace is often used, while it is otherwise less common in India; more elaborate recipes also involve saffron. The korma component, however, may contain the whole repertoire of Indian spices, for example cumin, ginger and garlic. Differences in flavouring between the rice and the meat component contribute to the exteme deliciousness of the dish. Biryani is also prepared in South India, particularly in Muslim-influenced Hyderabad (Andhra Pradesh) and in cosmo­politan Kerala. Yet, according to the local tastes, it is prepared much hotter, with significant chiles in the meat stew component, but commonly without dried fruits. Hyderabadi biryani is served with some of the spicy stewing liquid in an extra little bowl. In the South, star anise is commonly included in the spice mixture for the rice, and the Indian bay-leaf may get omitted or replaced by leaves of cinnamon or allspice which are locally grown. Particularly in Kerala, coconut milk may be employed instead of yoghurt for the meat component. See also coconut for another South Indian rice dish of non-biryani type. In Sri Lanka, the pods are added to fiery beef or chicken curries, together with cinnamon. Cardamom-flavoured sweets are found all over the Indian subcontinent, e. g., gajar halva [गाजर हलवा], a creamy dessert made from milk, grated carrots, palm sugar and ground cardamom, and shrikhand [श्रीखंड], which is based on strongly sweetened thick yoghurt (curd). Furthermore, cardamom is a popular spice in Northern Africa and Eastern Africa, where population is predominantly Arabic: It appears in the Moroccan mixture ras el hanout (see cubeb pepper) or the famous Ethiopian spice berbere (see long pepper). In Europe, cardamom is rather unknown, but may appear in some cookie recipes (for example, German Lebkuchen). Nevertheless, usage is low, except in Scandinavian countries, where cardamom is popular not only for cookies and sweet breads but also for pastries and sausages; see also allspice. Some brands of curry powders (see curry leaves) contain small amounts of cardamom; cardamom is also frequently added to the Northern Indian garam masala (see cumin), especially in the Noth West Indian region Kashmir, where the Moghul influence is strongly felt in the local cooking. Kashmiri people like sweet green tea flavoured with cardamom pods, which amazingly is called kashmir kavah [كشمیر كاوہ], although words like kavah designate coffee almost everywhere else. No-one who has ever visited Kashmir and lived in one of the famous house boats of Srinagar will ever forget the taste of cardamom-flavoured green tea, but for the rest of their lifes associate this tea with Kashmiri family life and endless talks and discussion in front of the fuming water pipe (hookah [حقہ], from Arabic huqqah [حقة]). In the rest of India, black tea is much more common than green tea. In its simplest and most common form, tea leaves are just boiled with milk and sugar for a few minutes. Tea with spices, an item commonly found on the menues of Indian restaurants in Western countries, is also a genuine Indian drink and very popular, although tea stalls on the street will usually serve the unspiced version. Spiced tea (chai masala [चाय मसाला]) is, in India, a luxury not everyone can afford every day; I found it most common in Rajasthan, where also the greatest variety in flavouring is observed. The most common spices used are cardamom, cinnamon, cloves and even black pepper. Less commonly, mace, fennel or star anise may be used. Most of these (with the exception of cardamom) are considered warming in the Ayurvedic medicine theory. To prepare the spice tea, water, milk, sugar, and spices are simmered together for a short time, then the tea leaves are added, and simmering continues for another few minutes; after straining, the tea is ready to drink. See also star anise for Thai spiced ice tea (cha dam yen) and epazote for more on the word tea . Cardamom seeds lose their flavour quickly when ground; even if left whole, the seeds show a loss of about 40% of the essential oil per year. 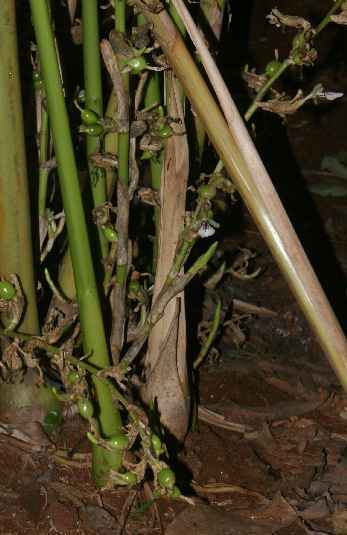 Therefore, only whole cardamom pods should be bought; before usage, the pods should be crushed. 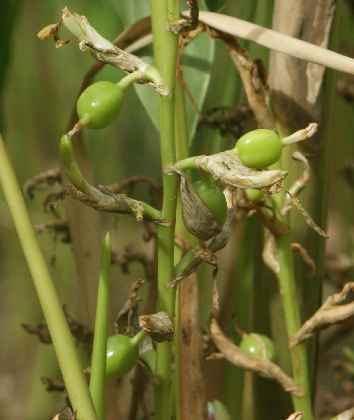 Green pods are significantly superior in fragrance to the yellow or white bleached ones. 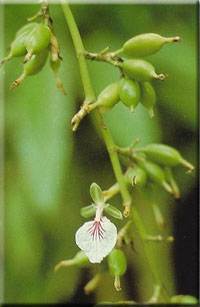 Black cardamom (or brown cardamom) is a collective name of several cardamom related plants growing in mountains from Central Africa to Vietnam. 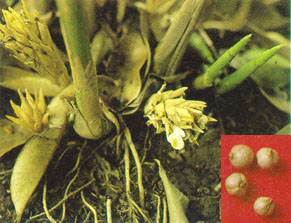 Most frequently, the Nepalese cardamom is traded in the West. This spice’s taste differs drastically from that of green cardamom; neither can act as a substitute for the other.